The U.S. Navy‘s Office of Naval Research has launched a program that seeks to facilitate the rapid delivery of new technology platforms to U.S. Marines and sailors. 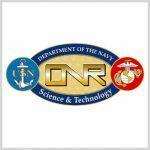 ONR said Monday the Naval Innovation Process Adoption effort aims to help naval organizations address technology development and acquisition challenges through a common problem-solving language and approach. Richard Carlin, head of ONR’s sea warfare and weapons department, said the National Defense Strategy calls for naval modernization efforts as state and non-state actors move to leverage technology advancements. “NIPA will start in one department of one Navy command, but its principles could become a catalyst across the fleet and force,” Carlin added. ONR based the program on the H4X problem-solving method, which the Defense Department and other government agencies use to confront innovation challenges with the use of an evidence-based and data-driven process. H4X was a collaborative effort of Steve Blank, an adjunct professor at Stanford University; Retired Col. Peter Newell, former head of the U.S. Army’s Rapid Equipping Force; and technology firm BMNT.